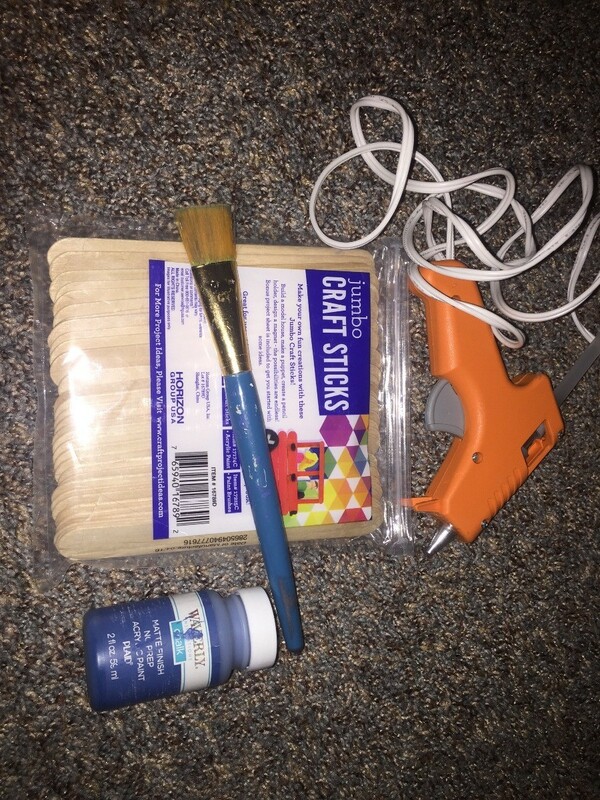 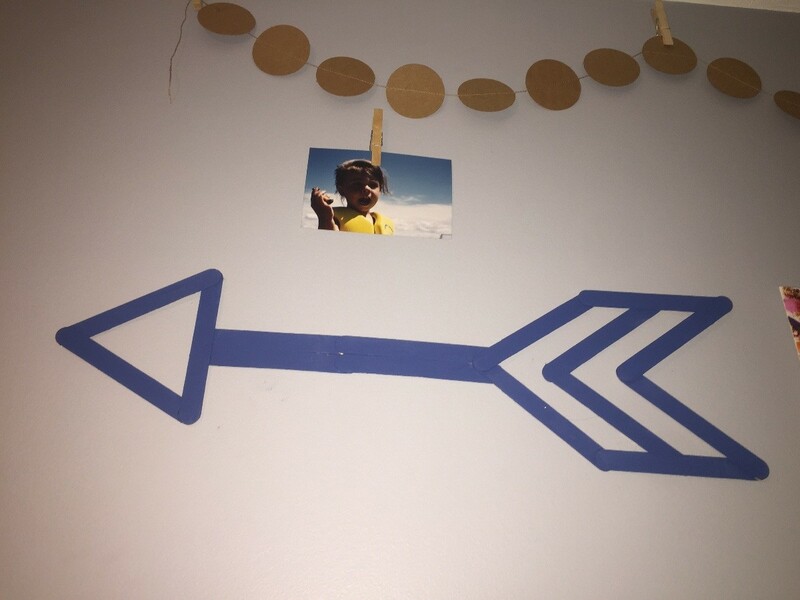 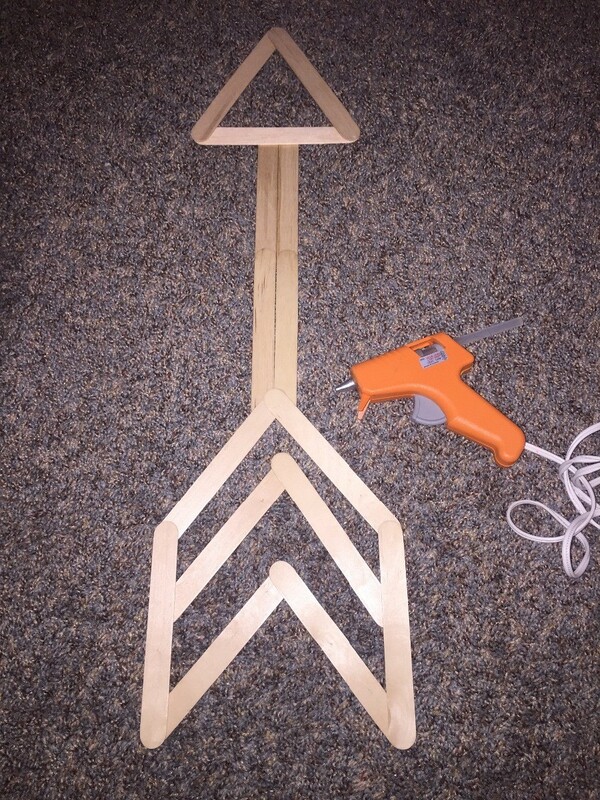 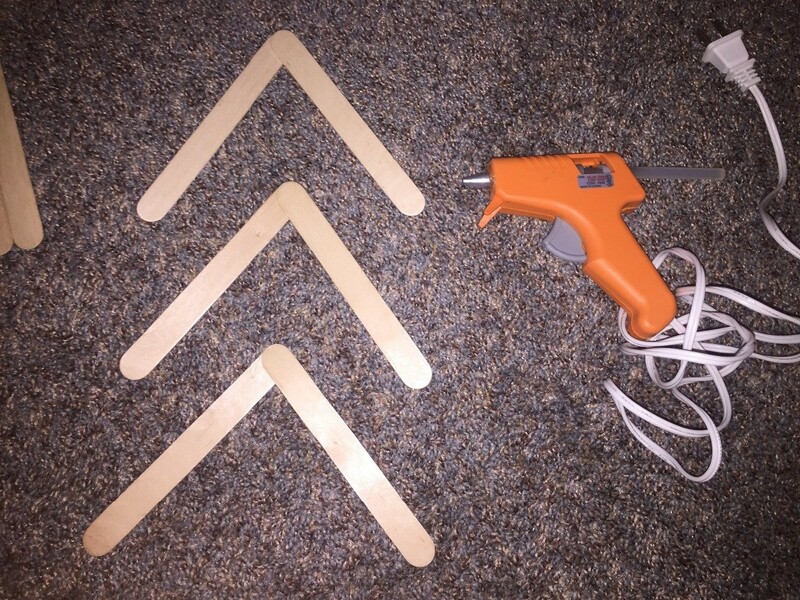 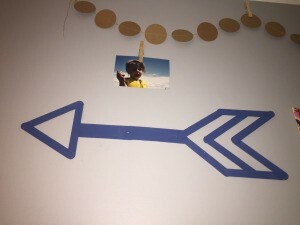 This is a project for making an arrow wall hanging from Popsicle sticks, held together with hot glue. 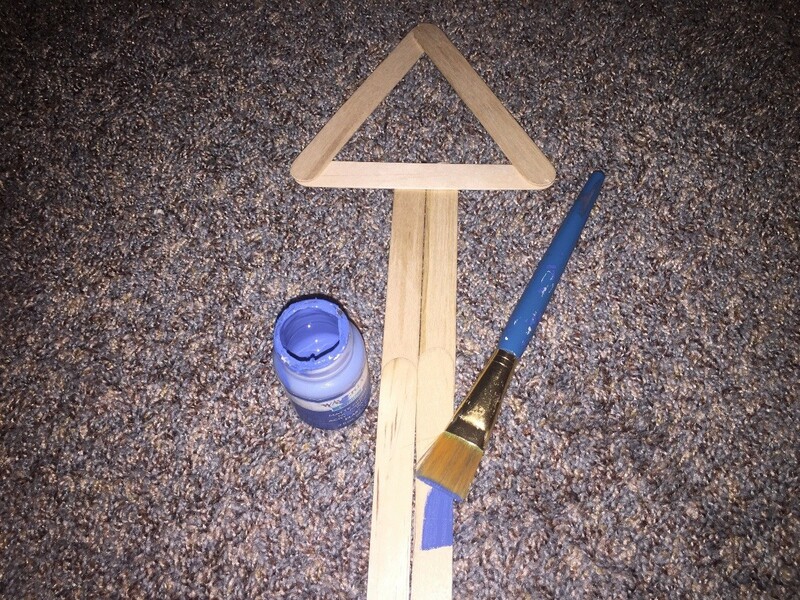 It is easy to make and fun to hang in a bedroom and paint the colors that complement your room. 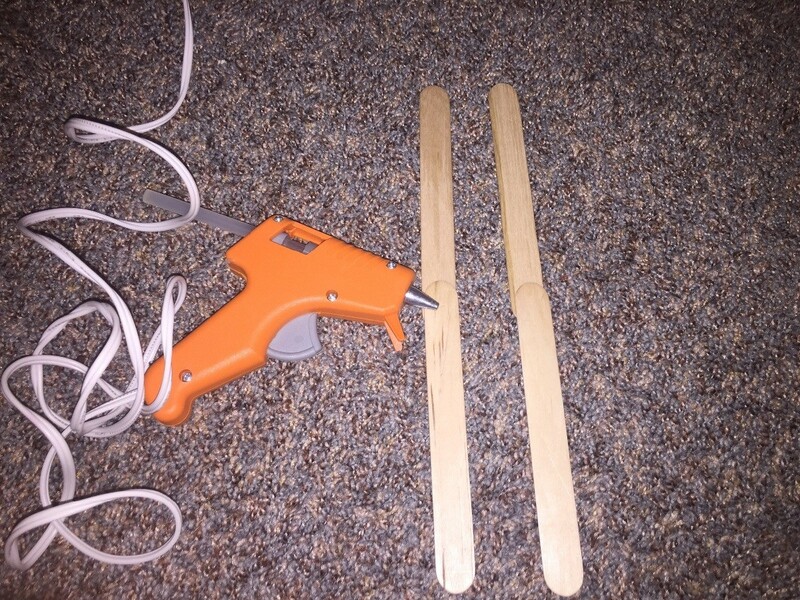 Glue two sets of 2 Popsicle sticks together vertically, but do not glue the two sets together. 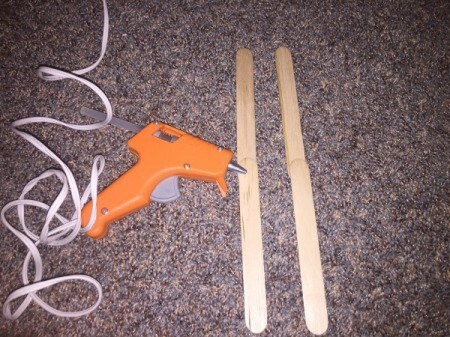 Glue a Popsicle stick across the first two sets to stick them together. 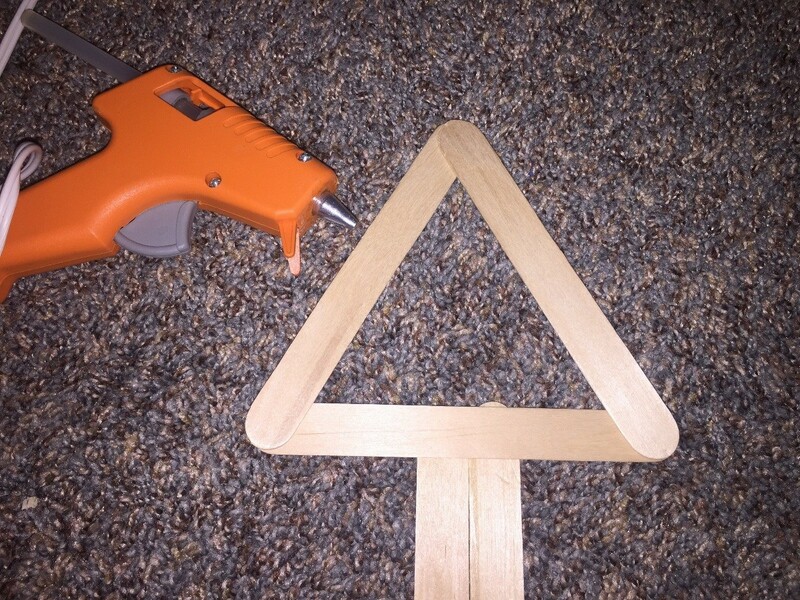 Add two more Popsicle sticks to the top angling them so they touch each other to make a triangle. Glue 3 sets of two Popsicle sticks together at matching angles. 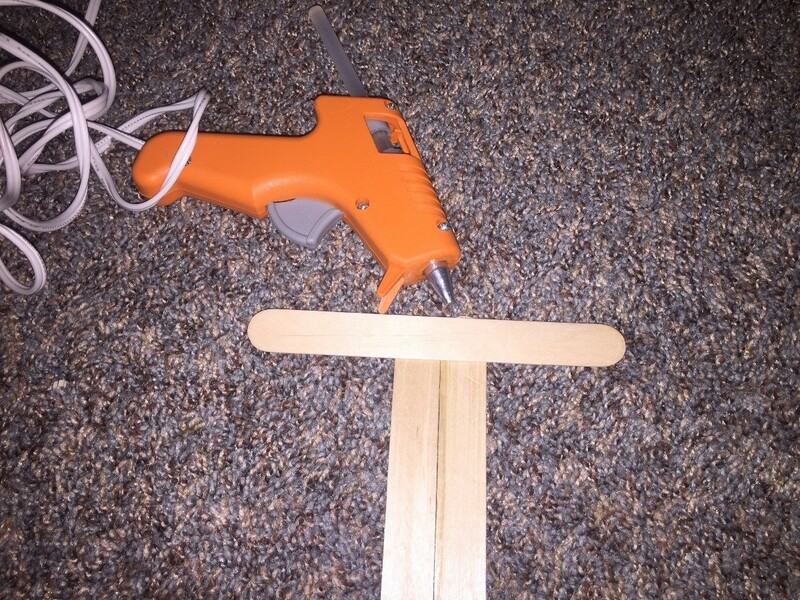 Glue one Popsicle stick on each side of the angled Popsicle sticks. 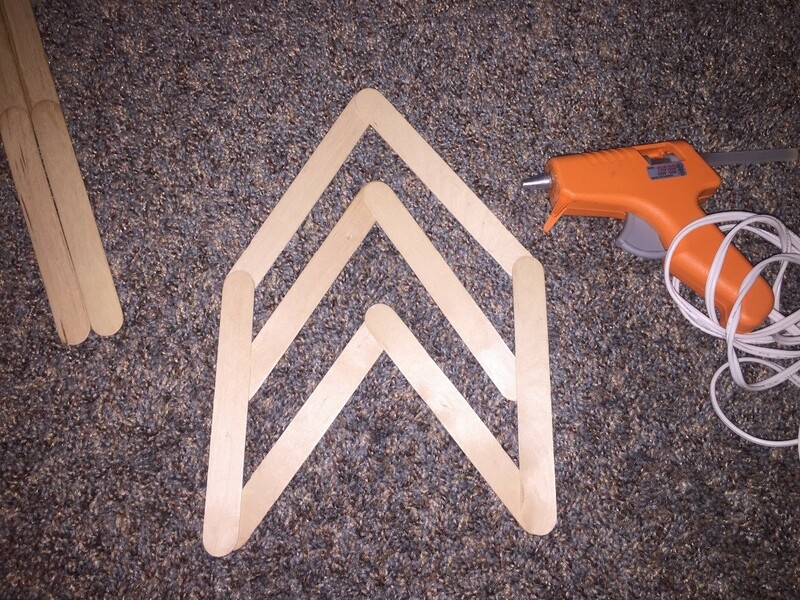 Glue the set of three onto the other piece so it creates and arrow.